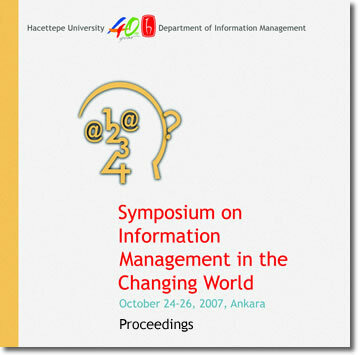 The "Symposium on Information Management in the Changing World," organized by the Department of Information Management of Hacettepe University, took place in Ankara, Turkey, from 24-26 October 2007. It brought together both researchers and practitioners to discuss the current information management issues, and present ideas, theories, approaches and methods to tackle them. Full texts and presentation slides of invited talkes, papers, posters and workshops.